President Xi Jinping’s speech to the Boao Forum for Asia, held on the tropical island of Hainan on 10 April, displayed a new skill China has been given free rein to refine before global audiences in the Donald Trump era. With Mr Trump tweeting all manner of ribald attacks on domestic and foreign foes from the White House, Xi has been left to take the high road on his own, alone among major powers, in defence of global trade and economic openness. The venue for Xi’s speech was appropriate for such a message. The Boao Forum is China’s version of Davos, the annual confab in Switzerland. Foreign political and business leaders flock to Hainan once a year for audiences with China’s elite. Xi’s Boao speech in fact mirrored his similarly pitched address to Davos last year, when he also paraded China as a paragon of economic liberalisation, in contrast (though he didn’t need to say so directly) to Trump’s America. In Boao, Xi didn’t mention Beijing’s current stand-off with Washington either, but again the contrast he was drawing was clear. In reality, for all the hype surrounding the event, Xi’s speech offered little that was new and substantive. Take cars, for example, an issue which the White House has been fixated on. China imposes a 25% tariff on imported cars, compared to 2.5% for vehicles coming into the US. But since 99% of US-branded cars sold in China are made in China, as part of joint ventures which foreign companies are forced into, it is hardly a concession to cut tariffs for imported American cars. As to Xi’s suggestion that China would allow foreign automakers to own a larger proportion of these 50:50 joint ventures, there was no timetable offered and no new equity cap laid out. From the Chinese perspective, that may be fair enough. At the moment, as the two countries spar over tariffs, Beijing is simply preparing the ground for what are likely to be protracted negotiations. China, of course, will be demanding concessions of its own. 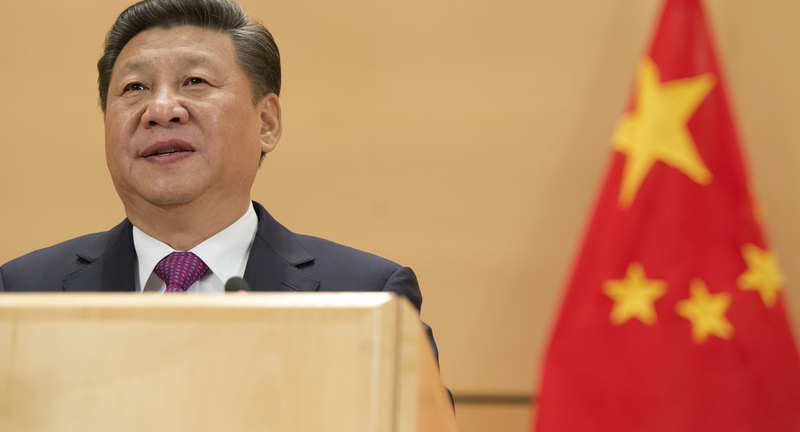 Xi repeated one of Beijing’s perennial taking points, demanding an end to embargoes on US exports of high-tech products imposed after the 1989 military crackdown on pro-democracy protesters. Promises Xi made in his speech to “broaden market access” for foreign financial companies and to cut foreign ownerships in aviation and shipbuilding, as well as cars, have mostly been announced before. The truth about the current US–China trade battle is that Washington and, indeed, the rest of the developed and developing world are still playing catch-up to China’s hectic development. Few expected China to thrive as it did once it entered the World Trade Organisation in 2000. Chinese officials themselves have been surprised at how well the country has done, despite its weak corporate sector at the time of its accession. China is not only running a swollen trade surplus with the US, and just about every developed country (bar Australia, a commodities exporter), but is also catching up as a technology power. It’s no wonder, then, that China feels confident in the current stand-off with the US. When you are winning, you can afford to take the high moral ground.